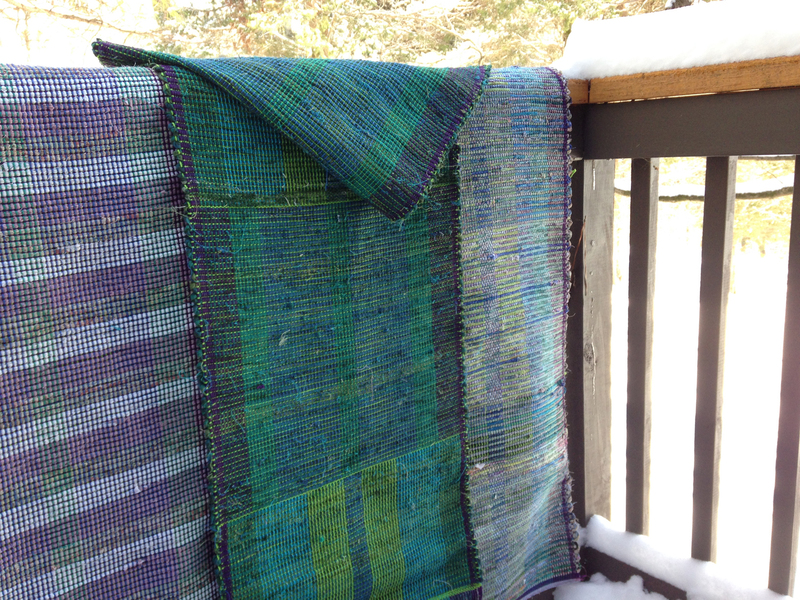 There may be lots of snow still outside but I am real cozy inside weaving away at my loom. I just finished a series of table runners woven with rags. A friend of mine gave me a pile of old sheets and a couple yards of fabric she never used. 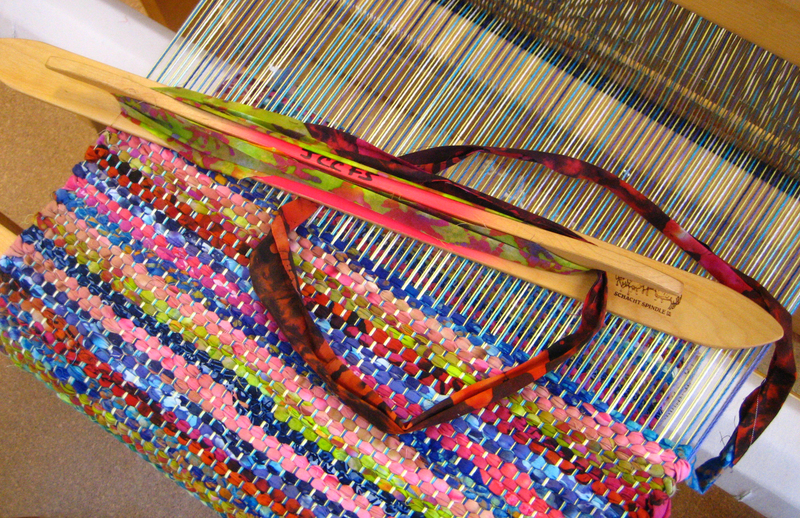 This was the inspiration to dress my loom with a colorful warp and spend the day weaving. The view outside was dreary but my rainbow of rags was the perfect cure for the winter blues. After a long cold winter if you are like me you are dreaming about the arrival of spring. With springtime comes spring-cleaning. Out with the old and in with the new. So I invite you to raid your closets and find your old t-shirts, mismatched bed linens and your well-worn flannel shirts. Learn how to transform these old discards into new rag table runners or rag rugs for your floor. Pack all this material in your suitcase or in your car and come to the Folk School May 31 to June 6 for the “Woven Rag Rugs and Runners” class. The weather is great that time of year and the camaraderie among fellow students is wonderful as everyone is so excited winter is over and we all can come out and play. In my class you will learn all about how to prepare rags, set up your loom and weave with rags. Never woven on a floor loom…no problem… my easy to follow method will have you weaving in a short time. Haven’t woven in years…no problem…it’s like riding a bicycle as you really never forget. With a few quick demonstrations you will be back to weaving again. 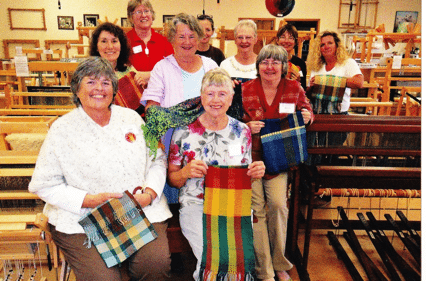 Intermediate weavers looking for a challenge…no problem…I will assist you in creating block weave designs and weaving durable double-sided rag rugs and runners. 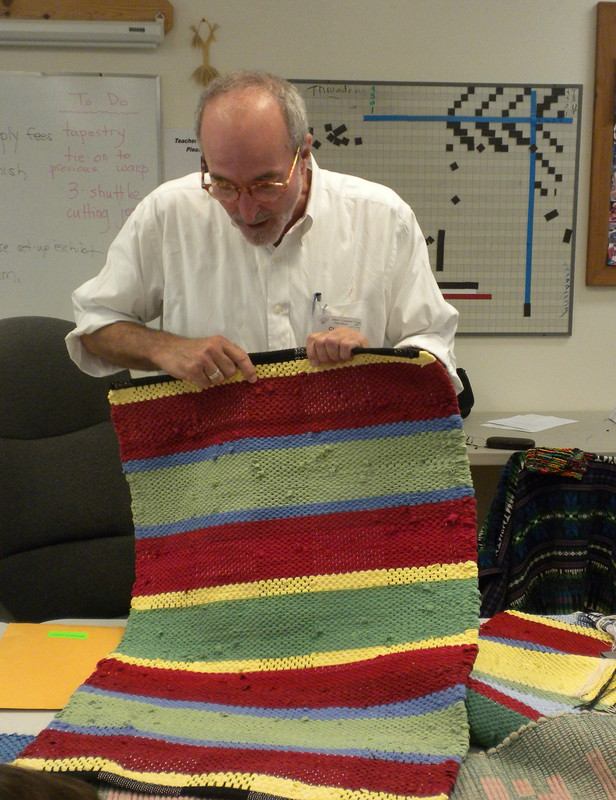 Rag rug weaving is the ultimate recycling project. You have the opportunity to repurpose your fabric scraps into amazing woven rugs and runners. Quilters love this because they are always looking for new ways to use up all their piles of fabric. In this class you will also learn how to over dye material which is a great way to revive faded sheets and old tablecloths. 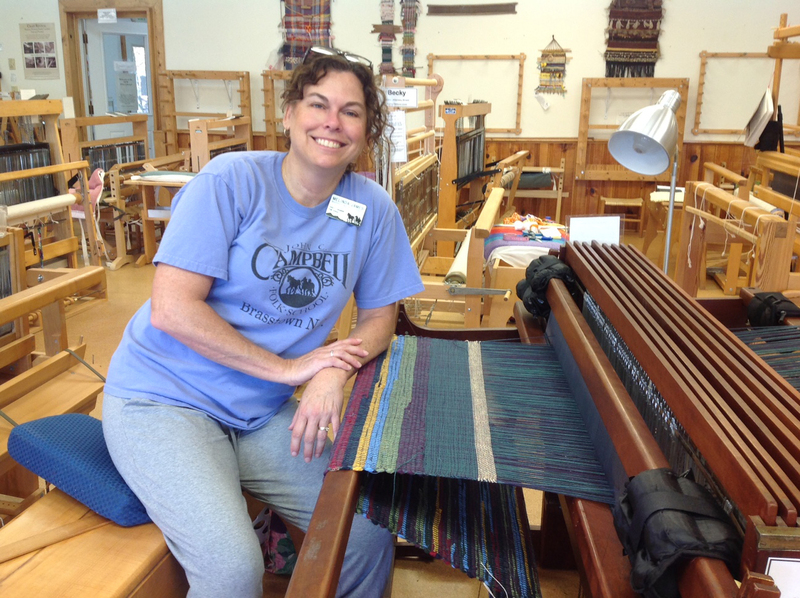 So come join me for Woven Rag Rugs and Runners: May 31 – June 6, 2015 and take a chance at learning something new. The reward is priceless: lovely woven rugs and table runners to proudly display at home. 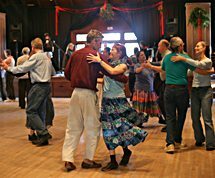 Visit folkschool.org for more information on other weaving classes. I enjoyed reading this article about rag weaving. I’m a new weaver, but I have friends who’ve been at it for ages. I’ve seen their rag rugs. They are wonderful. I understand rag weaving can be addicting. Hopefully I will be able to take a class in weaving at the folk school in the future.